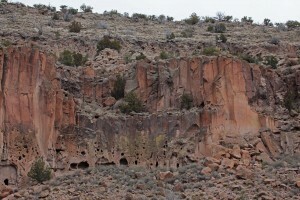 The native population of this picturesque, Indian-Latin American state of the United States calls its land “charming”, describing the unique natural landscapes and ancient secrets of the Pueblo people, who lived in New Mexico in the 12th century. Currently, New Mexico is the most important center of culture of the American Indians, here about 50 ethnic groups of the indigenous population are preserved (the most numerous – the Navajo people). The Roswell military base is the site of the annual pilgrimage of UFO fans, because it was here in 1947 that a statement was made about the discovery of traces of extraterrestrial origin. Even after attempts at refutation, the secret status of the find still tears the minds of those who are not indifferent. The capital of the state, Santa Fe, is rich in historical attractions as well as other major cities – Albuquerque, Las Cruces, Roswell, Farmington, Rio Rancho, Alamogordo. New Mexico attracts tourists not only with unique natural attractions, but also with historical monuments of Indian culture: the object of the heritage of the Unesco-Taos Pueblo (in the thousand-year-old houses the representatives of the people of pueblo still live), the Aztec ruins, the Bandeler (Friochles Canyon with the ruins of the pueblo) Rocky dwellings in the valley of Gila, the national monument Petroglyph in Albuquerque, the remnants of Fort Union and many others. The international festival of flamenco in New Mexico is no less popular than in the homeland of the dance – in Spain. In addition, the state is known for its active creative life. 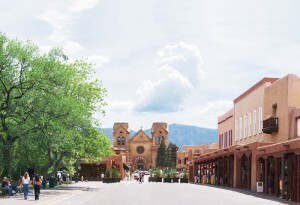 The capital of Santa Fe is considered a prestigious center of contemporary art, along with New York and Los Angeles. 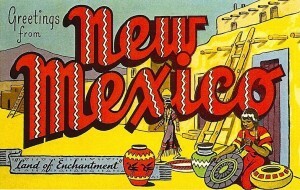 Here there are such museums as the Museum of New Mexico, the Georgia Gallery O’Keeffe, the International Museum of Folk Art, the Museum of American Indians Wheelwright. the most advanced technologies are concentrated here. Here you will find everything to ensure the implementation of the nuclear program of the United States. In the Los Alamos laboratory, scientists are engaged in a variety of projects, from the search for an AIDS vaccine to almost probing the future, most of them are in the strictest secrecy. 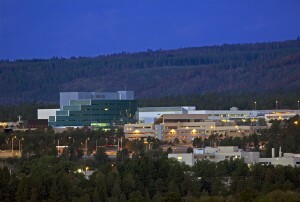 The Los Alamos Laboratory was established in 1943, and its first director was the famous physicist Robert Oppenheimer, who created the most terrible weapon on Earth. 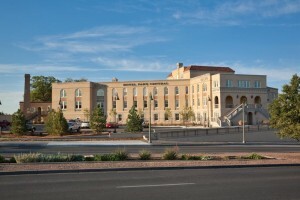 Today the laboratory is one of the largest employers in the state of New Mexico – it employs more than 12,000 permanent employees, as well as more than 3 thousand people working on contracts. Interesting: In addition to the huge scientific value of Los Alamos is also known as a monument of archeology – on the territory of the laboratory there is an ancient monument to Zierega- a large prehistoric Indian settlement with well-preserved rock carvings. The National Monument Kasha Katuwe is one of the most amazing natural monuments that can surprise even the most demanding travelers with its bizarre forms. The monument is located in the state of New Mexico, 60 kilometers southwest of Santa Fe, at 1730-1950 meters above sea level. This area was included in the list of National Monuments in January 2001, shortly before the resignation of Bill Clinton. The second name of the monument is Rocks-Tents. This rock massif has Its unusual shape due to its origin. For many centuries, the settled volcanic rocks and ash formed these formations, and thanks to the work of winds and erosion, they have acquired their present form. Interesting: Currently, the monument is administered by the Governor of Cochiti (the Indian community), and you can get to the rocks only in the daytime. The Lechuguilla Cave is located in the Carlsbad Caverns National Park in the US state of New Mexico. Until 1986, The Lechuguilla Cave was considered an insignificant cave with a length of only one hundred and thirty meters. Once it seemed to the speleologists that they felt a draft from the far end of the cave, littered with stones, after a series of studies, earthworks were performed, during which a passage into the depths of the cave was discovered. Today the total length of all the investigated corridors exceeds two hundred kilometers. 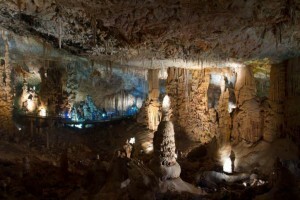 The abundance of gypsum and sulfur deposits is explained by the unusual origin of the caves. Unlike most caves, Lechuguilla was formed under the influence of sulfuric acid, not water. Rising from hidden oil deposits in the earth’s depth, hydrogen sulphide mixed with groundwater forming an acid, literally sown limestone. Lechuguilla, which name comes from the growing in its vicinity of the species of agave, is one of the most beautiful caves in the world. 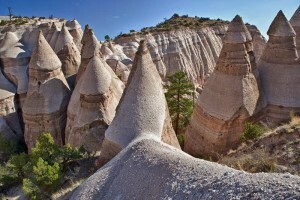 Its extraordinary beauty is formed by numerous gypsum formations of incredibly diverse shapes and sizes. Interesting: This amazing cave is considered the deepest in the US and is one of the ten longest known caves in the world. 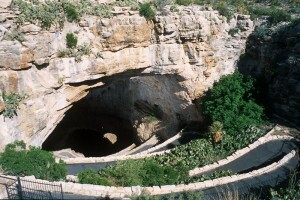 The Carlsbad Caverns National Park is located in the mountains of Guadalupe in the US state of New Mexico. admire the stalactite formations with memorable names – The statue under the veil, The shy elephant, The age-old rock. Visiting the National Park, do not forget to watch the departure of the bats for hunting. In the caves of the national park, there are about seventeen species of these animals. Every day at sunset they leave the caves in search of food. Million packs, fluttering out of dark holes, literally obscure the orange sunset sky. Early in the morning before sunrise the bats come back. Interesting: Carlsbad Caves is an amazing natural monument, uniting more than eighty large and small cave halls with a total length of about twelve kilometers. 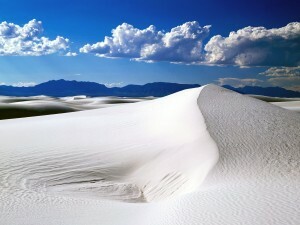 In the USA, in the very south of the country, near the border with Mexico, between the Sacramento Mountains and the Rio Grande River, there is the largest gypsum desert – White Sands. 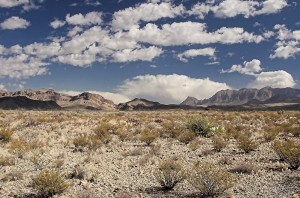 Why is the desert worth visiting? It is unique in two ways: its color and the material that the soil consists of. It is for the color of the sand that this place got its name. Perhaps there is no more place on the earth where it would be so “snowy” and at the same time hot. At the first moment, it seems that the barkhans are indeed swept by a snowstorm, especially as the white grains sparkle under the sun, like snow crystals. This unusual landscape was formed, because the sand of this desert consists not of quartz, as in other sandy deserts but of crystals of a variety of gypsum, bearing the poetic name selenite. It is a soft white mineral, it looks like chalk and is easily dissolved by water, so it is rarely found on the earth’s surface. Only poplar and yucca have adapted to life in such conditions, the root systems of these plants are adapted to life in such difficult conditions. Interesting: Due to the fact that the sand is in constant motion, it is not easy for plants to settle down in this region, although the rains here are not so small for the desert – almost 200 millimeters per year. On the border of North America and Mexico there is a large Chihuahuan Desert, which is not included in the part of the nearby huge desert of Sonora. This large plain, covered with mountain ridges, is on a hill, so the climate there is softer and not so arid. What is interesting about this place? These places are known as “Land without people”, because for many kilometers in the district there is not a single city or settlement. On the territory of the Chihuahuan Desert there is the reserve of White Sands, next to which there are the cities of Ciudad Juarez and Chihuahuan. Most of the precipitation falls in the winter allowing some species to grow. In the open plains here one can find agave and cacti and in spring a lifeless plateau is covered with a continuous carpet of flowers. Interesting: Everything blossoms here, even the most dry and stunted bush, turning the desert into a lively, motley land. Parq Central Hotel is in a very quiet and peaceful place. It is surrounded by three magnificent gardens, where there are open terraces, and on the roof there is a lounge area. The hotel in an old building of 1926, which attracts a wide variety of tourists but most of them are attracted here even not by its beauty but by the unusual history of the building. The fact is that until 1982 there was a psychiatric hospital here. 15 suites and three spacious cottages located in the park. All rooms have high ceilings and large windows draped with rich fabrics. The morning at Parq Central Hotel begins with a complimentary breakfast, which is served on one of the terraces. Interesting: Here you can enjoy the nature and the fountain in the center of the square, eating fresh fruit and fresh pastries. you will see a well-preserved village of Tyuonyi built over 600 years ago, in which about 100 people lived. It was a one- and two-story house with a total of about 400 small rooms. On the first floors, there was usually a store of food or turkeys, of which feathers clothes and bedspreads were made. In addition to birds, villagers kept dogs. In the central square there were 3 kivas. Only one of the three kivas was excavated and presented for inspection to park visitors. Modern descendants of pueblo prefer to leave some objects untouched, so as not to accelerate the process of their destruction by winds, rains and dust. Interesting: One more interesting trail is Alcove House Trail, thanks to which you may stroll through the forest and climb to the top of the canyon along the vertical staircases. Tucumcari town is famous for its retro cars and streets, as if frozen in the last century. The first attraction here is Route 66 Monument. It was installed relatively recently, but it has already gained considerable popularity among travelers. Entering Tucumcari, on the way, you will notice a nice corner with an Indian trading post. There are many of them but this one is special: it says that you are on Route 66. The old truck in the background has perfectly blended into the entourage. Retro cars turned into a Tucumcari chip for the joy of everyone who happened to be here. Instead of sending to museums or even handing over old scraps for scrap metal, here they are put on public display as a remarkable accessory. 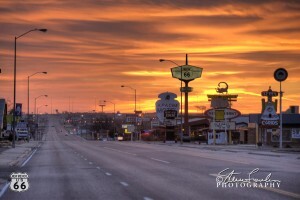 The other attractions are mostly on the same street – Tucumcari Boulevard (Tucumcari Blvd), the main one in the city. which led to a sharp decline in customers. Therefore, if you suddenly find yourself in Tucumcari, you will know where you can stay. Interesting: Such towns as Tucumcari are convenient because they usually do not take a lot of time to visit, but the impressions of them remain in your memory for a long time. The heart of the city – the Santa Fe Plaza (Santa Fe Plaza) is a small square with benches, mini-stage and a monument in the middle. Here, various events are held periodically and many artists perform. This place is the home of many street artists who create their works of art here. On the opposite side of the Santa Fe Plaza you can see an Indian market, where Native Americans sell homemade jewelry, dishes, and other interesting things. Across the street from the market, in the background of the Museum of Arts, there is the famous in Santa Fe clock, an unofficial symbol of the city. This is the highest building in the city. According to the unspoken rule, in Santa Fe it is not recommended to build buildings higher than its cathedral. And the name of the cathedral speaks for itself. The first of these is, in fact, St. Francis of Asiz – a famous figure of Catholicism, the founder of the Order of the Franciscans, who was ranked among the saints. As a rule, he is portrayed in a monastic robe, belted with a rope. The second one is an image of the first Indian, ranked by the Blessed One – Kateri Tekkvide, stands side by side. On the right side of the cathedral you will find another monument dedicated to Francis, and a refined image of Madonna Rose (Conquistador), the Catholic symbol of Santa Fe. Interesting: The inhabitants of Santa Fe were adherents of the faith of St. Francis of Assisi, in honor of which the cathedral was named. The full name of the city sounded like “La Villa Real de la Santa Fé de San Francisco de Asís” (“The Royal City of the Holy Faith of Saint Francis of Assisi”). For convenience, it was abbreviated as “Santa Fe” (“Holy Faith”).